If you have bad hair – then you are not alone. Many people are dissatisfied with their hair. Experiencing hair loss, dry and brittle hair, prematurely grey hair is the reasons behind many factors of hair loss. As hair is one of the fastest growing tissue in the human body – an average rate of the growth is about one-half inch a month. In some research, it found that normal hair growth occurs from age 15 to 30, slows down from age 40 to 50, and is progressively lost by about age 50. Most men lose hair to some degree by age 35 and are more likely to lose their hair than are women. On a healthy scalp, 90% to 95% of hair follicles are growing, less than 1% is declining, and 5% to 10% are resting. The prognosis for encouraging hair growth is favorable if treatment begins before the growth stops altogether. Hair growth can be achieved by fighting hair loss with antiandrogens, enzyme blockers and medications with potential side effects. If anyone want to strengthening the hair roots then the person need proper antioxidants, minerals, vitamins, and amino acids which help in promoting hair growth. As there are a whole host number of possibilities such as genetics, illness or simply the ageing process. However, certain vitamin deficiencies can also cause the thinning of the hair and hair loss. Some vitamins are excellent for restoring strength to hair and for encouraging hair growth. Eating a varied and healthy diet will ensure that you are receiving a healthy balance of vitamins and minerals. Vitamin A helps in preparing and maintaining the cells growth. This vitamin is known for protecting the hair follicle. As it also help to produce sebum on the scalp. When their is a deficiency of vitamin A then it causes dry hair, skin problems and hair loss. There are large number of foods having vitamin A but some rich is vitamin A include carrots, leafy vegetables and water melons. Vitamin C is mainly know for immune booster and for strengthening hair. It protect the cells found within hair follicles and it also fight against aging process. Vitamin C helps the body to produce collagen, a vital protein for healthy hair, skin, and nails. If you notice your hair breaking a lot or shedding, it may be due to vitamin C deficiency. Blueberries, strawberries, kiwis, oranges, carrots, citrus fruits, broccoli are the some eating fruits and foods which are loaded with vitamin C.
Additionally, vitamin c works against the oxidative stress which can cause grey hair, hair thinning and hair loss. It is an antioxident properties which help protect the body cells. Today many companies add Vitamin E in their hair and skin products. Researchers found that vitamin E help in improving scalp circulation, balance oil production, add shine and many benefits to hair. It can be found in foods such beans, soybeans, leafy greens, whole grains and nuts. Niacin, also known as Vitamin B3 or nicotinic acid, is the little known vitamin that plays a big role in hair growth. It helps in maintaining the structure of the blood cells and improves blood circulation. Niacin allows more blood flow to the scalp and allows more oxygen and nutrients to flow to the hair follicles that help to grow healthier hair growth. Niacin boosts not only the thickness of hair strands but strength the nail and skin too. Mushrooms, poultry, tuna and coffee are a few sources where you can find niacin. Hair loss also may occur when your body lacks the recommended amount of vitamin D. Vitamin D deficiency has been linked to alopecia, also known as spot baldness. Reasons for insufficient vitamin D levels include spending more time in indoors or not eating foods with the pack of nutrient. The best source of Vitamin D is sunlight, but you can also find it in fish, soya milk, cereals, eggs and orange juice. The fats found in Omega-3 help to nourish and thicken the hair as well as working to reduce the inflammation of the roots which often causes hair loss. Omega-3 can be found in foods such as tuna, white fish, eggs and in the veg food you can take flaxseed. You can also take Omega-3 supplements if your diet does not regularly include oily fish. A decrease in folic acid may contribute to decreased hair-follicle cell division and growth. Folic acid is also essential for the maintenance of healthy methionine levels in the body. Signs of folic-acid deficiency include anemia, apathy, fatigue, and graying hair. Certain foods are the natural sources of folate, such as beans, broccoli, citrus fruits, green leafy vegetables, meat, nuts, poultry, wheat gram. Keep in mind that the more processed your foods are, the less amount of folate contain in your food. Orange juice is another good source of folate, but it also contains a lot of natural sugar. Will Vitamins Grow Hair Quickly? A deficient in any nutrient requires time to show any change in your hair. 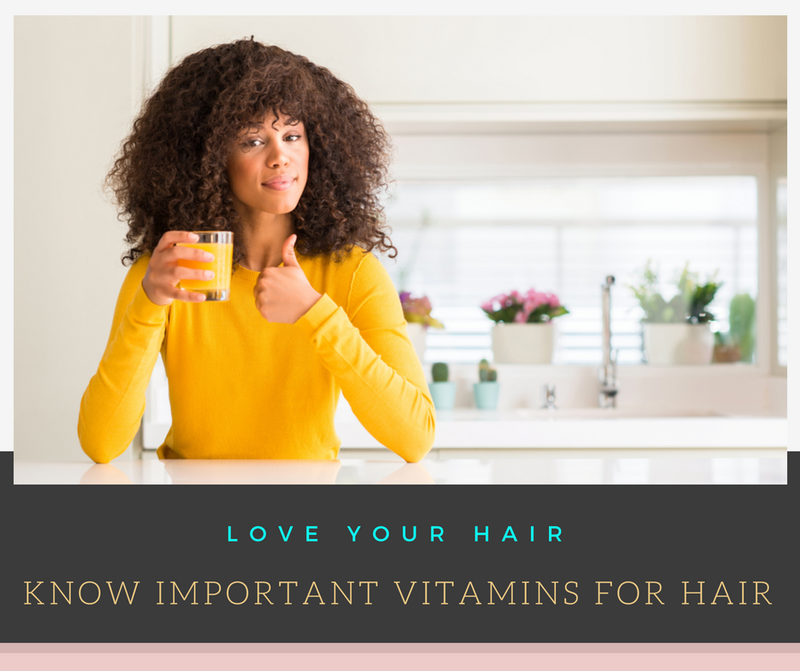 As vitamins nourish hair growth from inside the body, it can take three months or more to see results. The nutrients you consume enter into the bloodstream and ultimately nourish the hair follicles. Eating a well-balanced diet that contains a variety of foods is the best way to keep hair, nails, and skin healthy.